This report sums up my stewardship of the office of Senior Rabbi to the Australian Defence Force over the past 18 years. 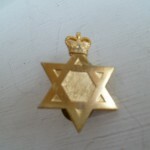 I had only two predecessors – Rabbi Jacob Danglow, CMG OBE VD, Senior Jewish Chaplain for 20 years after a long chaplaincy career dating from 1908, and Rabbi Dr Alfred Fabian, OBE ED RFD, who was Senior Jewish Chaplain and then Senior Rabbi to the ADF for 26 years after prior service as an army reserve chaplain. When Rabbi Fabian became ill in 1988 I succeeded him in his Canberra and national responsibilities. I had been an army reserve chaplain for 15 years. In Rabbi Fabian’s time Defence chaplaincy was totally re-organised. A Religious Advisory Committee to the Services was created, comprising five Christian clergy and a Jewish representative. All were to be non-uniformed but with the status of two-star generals. All were also to be equal in rank and role, with the chairmanship of the committee rotating amongst them. Committee responsibilities were to include oversight of chaplaincy work in the three services as well as providing advice to the Chief of the Defence Force on spiritual and ethical matters. This structure has worked well and has uniquely contributed towards inter-religious harmony. As the only non-Christian I found myself handling queries concerning all non-Christian faiths ranging from Aboriginal spirituality to Islam. Because I ended up as the longest-serving member of the committee I had two two-year terms as chairman. Often the issues on the agenda did not directly affect Jewish concerns and I was able to suggest a way forward to help the Christians. It was I, for instance, who found a formula for women to become chaplains in the Air Force. I also had the privilege of drafting the wording for some matters of record. Working with my RACS colleagues was one of the great experiences of my life. In the army we have a handful of Jewish reserve chaplains: in navy and air force none. As a result, navy and air force matters have been handled directly by me with help from the army chaplains. In leaving my posting I record my thanks to Rabbi Fabian, as well as to Rabbis Edward Belfer, Mordechai Gutnick, Jeffrey Kamins, John Levi, Yossi Segelman and Ernest Wolff, MBE, and also Rabbis Meir Kluwgant and Moshe Serebryanski who give honorary assistance. My successor, Rabbi Ralph Genende, is certain to be a worthy Jewish presence at Defence Force headquarters. I express my appreciation to ECAJ and FAJEX (especially Wesley Browne) and the State ex-service bodies for their constant support. 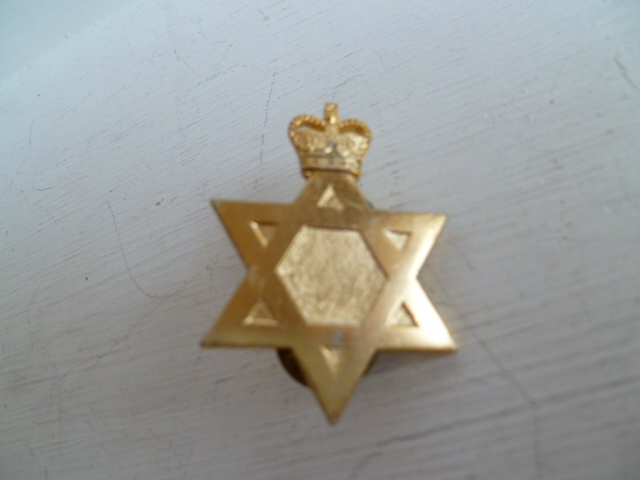 People ask how many Jews there are in the Defence Force; no-one knows. Almost always the people who seek our help are not officially recorded as Jewish. We have no records at all of Jewish members of the reserve forces. We get data on the grapevine, including names of Jews who are posted overseas, but all we can usually do is to refer them to Christian chaplains and/or local Jewish communities, with the request that they keep in touch with us in Australia. The Christian chaplains are always helpful; amongst my proudest memories are the chaplaincy conferences which I have attended and addressed, thus reinforcing the links between chaplains of all faiths, and the opportunity of getting to know successive Chiefs of the Defence Force and the top echelons of the Defence community. This entry is filed under Articles, Australian Jewry, History, War & Peace. WordPress generated this page with 31 queries, in 0.225 seconds.